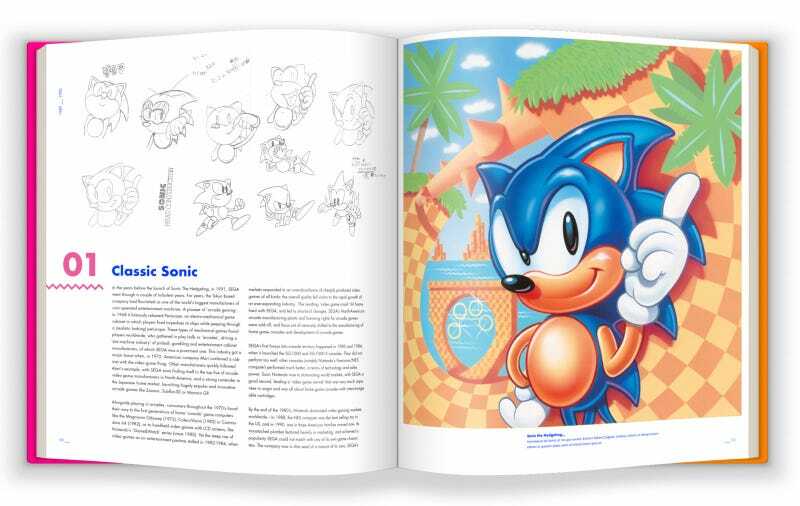 To mark Sonic’s 25th anniversary, art house Cook & Becker are releasing this big art book collecting all kinds of concept and promotional images from the series’ history. It looks a lot nicer than you’d think, given how shiny and gross the series’ art design has gotten over the years, wisely opting to cover the thing in some very Sonic 1 & 2, early 90s visual flairs. There will be two versions available. One, just the book, is $45. The other is a collector’s edition ($108) that includes a “newly drawn matted art giclee print by Sonic Team lead artist Yuji Uekawa”, as well as an outer box that folds in the centre to form a reading stand, which is a very cool trick. They’ll ship in April 2017, but you can order one now.